April 7: Stations of the Cross for Saint Peter. Introduction. Over the coming fortnight our posts will follow the Stations of the Cross from the point of view of Peter. You are invited to sit with him in prison in Rome under Nero’s persecution of the Christian church. He has time to reflect on his life with Jesus, and especially on the events of those few nights and days at the end of his Lord’s earthly life. When someone is hurt, those around feel it too. All the more if they have let their loved one down, betrayed them, in big things or in small. Jesus suffers and dies with his brothers and sisters every day – near at hand and in lands far away. Do we walk away – like the disciples on the way to Emmaus? Do we harden our hearts, as Malchus and his companions must have done, to carry on arresting Jesus after he’d cured that severed ear? Do we run off and weep as Peter did? Despair, as Judas did? Do we let Jesus seek us out and help us back onto our feet, as Peter did? These stations link the Via Dolorosa to other events in the lives of Jesus and Peter. If we could see the whole picture we would know that the life and death of Jesus are one story: as Rowan Williams said, he lived a lifelong Passion. We are his body and our lives make sense in his. As we walk with Peter, yards behind Jesus, almost out of sight, let us pray that we may see more clearly our own sufferings and our own betrayals alongside our joys. May we see more clearly how our sisters and brothers are betrayed and abandoned by us. may we then be ready to let Jesus come and find us, put us back on our feet, and lead us into his Kingdom of service. For each station there are Scripture references to the Way of the Cross and to parallel events in the lives of Peter and Jesus. These Stations were followed in Saint Thomas’s Church, Canterbury in 2005. Today salvation has come to this house, because this man too is a son of Abraham, for the Son of man has come to seek out and save what was lost. Yesterday, we began to ponder these remarkable words of Jesus. Today, we can continue to turn these words over in our minds – as Zacchaeus must have done late that night when everyone else had fallen asleep. How healing Jesus’ words are. There is no hesitation on Jesus’ part in accepting Zacchaeus’s promise. No cynical words, such as, “Ha. We’ll see how long this lasts. You’ve been a liar and a thief most of your life and now you expect us to believe that you will keep these promises?” Not a word was spoken to that effect. Such remarks would have immediately condemned Zacchaeus to failure, imprisoned him in his past. But that is emphatically not the way Jesus treats anyone: certainly not Zacchaeus, and not us. Instead, Jesus reinforces Zacchaeus’s good resolution by believing in it and in him. How creative and life-giving Jesus’ belief in Zacchaeus is for him. Jesus also regards Zacchaeus’s promise as sufficient. There is no lecture from Jesus along the lines of, “Right, my good man. Is that all you mean to do? Repaying those you ruined four times the amount you stole is not as generous as it sounds! Those people need at least that much in order to start all over again. And as for giving half your property to the poor, you will barely even feel the loss, you have so much property as it is.” Jesus does not say anything of the sort here, nor does he ever do so. Jesus is friendship, love and forgiveness. So great is his mercy and love that he immediately accepts our good resolutions wholeheartedly and envisions them not as unfulfilled promises but as actual achievements, meriting praise. Today salvation has come to this house, he says. It has already happened. This is what friendship with Jesus means. Jesus’ friendship gives us the grace of a conversion that almost seems to reach back in time and not merely forward. Jesus can give us a new heart, and new inner desires for goodness, along with the determination to act on these desires – as we see in Zacchaeus’s resolutions. Jesus’ forgiveness is one with his friendship, which means we enter into a continuous inner relationship with him who is goodness. He can therefore fill our present with potential for good – because we are with him. This can enable us to fulfil our potential for goodness by drawing on an inner store of grace and wisdom, which have their source in Jesus. Zacchaeus had been an unhappy, wounded, even tragic person. He had managed to surround himself with the comforts of wealth, but he did so to the detriment of his emotional life and his need for human relationships. Jesus, simply by being Jesus, swept away the tragedy like fallen leaves in the autumn; Jesus awakened Zacchaeus both to his own human longings and to his deepest human potential. In awakening these longings, Jesus also immediately offered himself as the fulfillment of Zacchaeus’s longings, and as the power behind all his potential. This shows us what we may hope for from Jesus, our beloved Friend. Perhaps we are tentatively groping toward something, and we do not know what it is. Maybe we are metaphorically on that tree branch, just watching, as Zacchaeus was. Maybe we see Jesus turning to us. Maybe we are very clear only about one thing: that we are lost. Zacchaeus’s story tells us that we can be confident that Jesus will befriend us, too, and offer us as much healing forgiveness, with as much joy as he gave to Zacchaeus. He will also ask something of us: to allow him, and his dearest companions, into our home. Today. 8 March. Zacchaeus and Jesus II: The Chief Tax Collector. There is seemingly an unimportant phrase at the end of the first sentence of the gospel passage from Luke (19:1-10) given in yesterday’s posting. If you missed it, I recommend scrolling back to it. There are a few words in the beginning that are very easy simply to skim over. The text tells us that Jesus was going through Jericho when ‘…suddenly a man whose name was Zacchaeus made his appearance.’ It’s the words ‘made his appearance’, that are so telling, I believe. They are an English interpretation of the original Greek text, rather than a literal translation of the Greek words, but I believe the translators of the New Jerusalem Bible are using the phrase in order to introduce the reader subtly to the theme of suffering in Zacchaeus’s life. There is a sub-text in these words. Usually when we say So and So “made his appearance” we are smirking. We are putting a negative spin on the words because we are talking about someone who is not very likeable, someone whose actions may have harmed us or a person we love, someone who never enters a public scene without having some ulterior motive. The phrase implies, “Oh no. What’s he doing here?” On this particular occasion a crowd has gathered in order to see Jesus, who was known to be a holy man and a healer. This is an occasion in which a dishonest person and a swindler would not be expected even to be interested. And, yet, Zacchaeus – a chief tax collector, as the Greek text tells us – was there. Tax collectors were notorious in Jesus’ day for being dishonest, callous, thieving characters, who took more money than they had a right to, in order to line their own pockets. These were Jews who were employed by Rome, the occupying power, and who were therefore considered by devout Jews to be apostates from their own faith, and loyal to ‘the enemy.’ Zacchaeus was no different. If anything, he would have been considered to be worse than many tax collectors, an ‘arch-enemy’, because as chief tax collector, he was in charge of a whole district, and doubtless was responsible for ensuring that those under him did not become too lenient toward those owing tax money. And this man ‘makes his appearance’ – here, of all places. The people in the crowd probably glance at Zacchaeus warily, then exchange looks with one another. Maybe the only thing that prevents some of the men in the crowd from confronting Zacchaeus is the thought that this, after all, is an event in which a holy man will be present. It would not do to have a brawl. In any case, Zacchaeus had power to ruin anyone who made his life difficult. So, the people in the crowd try to act as though Zacchaeus isn’t there. That Zacchaeus was ‘blanked’ by the people, that all were complicit in an act of passive aggression against him can be inferred from the text, where it says, He kept trying to see who Jesus was, but he was short and could not see him for the crowd. In other words, the crowd closed ranks against Zacchaeus. They would not let him through. He was a well-known figure not only in Jericho, but in the district. In this setting, had he been a public person of some other profession, with a reputation for kindness and philanthropy, surely he would have been allowed to pass through. A little murmur of recognition would have gone through the crowd, and Zacchaeus would have found a pathway opening up for him, making it possible for him to move forward. But nothing of the kind happens. He is ostracised. Eddie was community leader at L’Arche Kent and is still very close to the community. He now works at the Irish Chaplaincy in London, from where this blog has been taken. 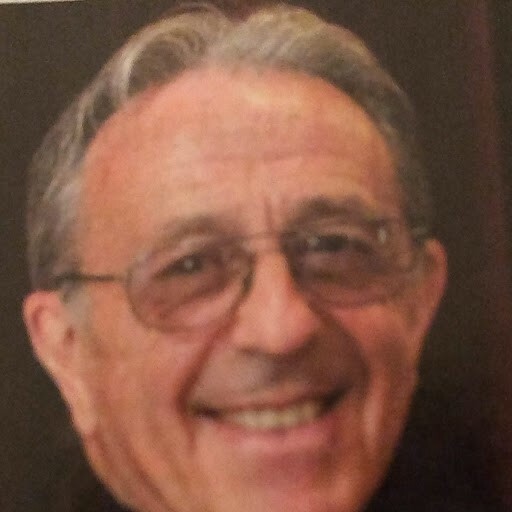 I was sad to hear of the death in January of Daniel O’Leary, the well-known and clearly much-loved priest, spiritual writer and retreat-giver. “Rake the muck this way, rake the muck that way; it will still be muck. Instead, start dancing your life thankfully on this beautiful earth”. The theme of thankfulness and gratitude is a common one in Daniel’s writing. 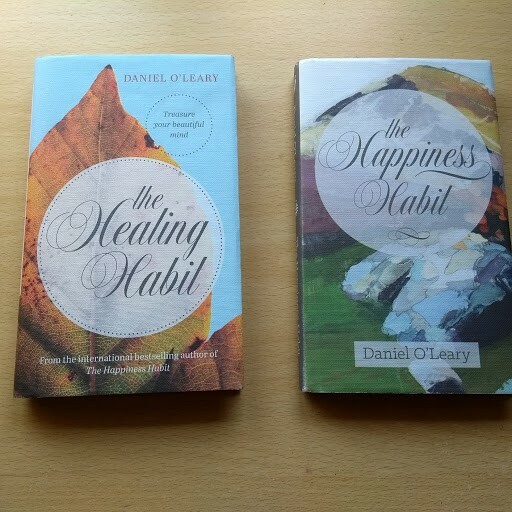 He encourages us in ‘The Healing Habit’ to repeat at the beginning of every day the words ‘Thank you’, and he quotes Meister Eckhart, the 13th Century German mystic: “If the words Thank You were the only words you ever uttered, you would become a magnet for love and beauty”. Reading some of the obituaries following Daniel’s death, I was struck by a sense of humanity and compassion; of him being always prepared to meet and accept people where they were. Jonathan Tulloch recounts in ‘The Tablet’ the joy of a neighbour when Daniel had agreed to baptise her granddaughter, which had been refused by another priest. Tulloch was later brought by this neighbour to mass at Daniel’s parish of St Wilfrid’s in Ripon. He found himself in a packed congregation amidst a troupe of Morris dancers who had been organised to accompany the offertory procession. I think I would have enjoyed a Daniel O’Leary mass! Doesn’t everything dies at last, and too soon? I give thanks for your life Daniel. You seem to have lived it well, and I am inspired by you to try and do likewise. December 22: O King of the nations. King of the Nations! Most nations today do not have kings, or they are shorn of their power and much of their status. Every now and then there is a story of an African prince succeeding to his position as king and giving up work and home in London, Canada or the United States to enter his kingdom. ‘We never knew’, his work colleagues say. May we know our King when he comes.